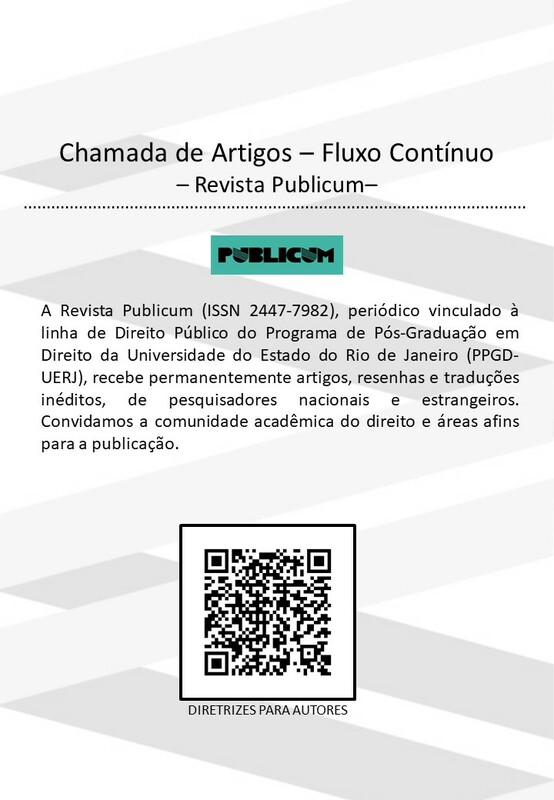 Revista Publicum (hereafter, Publicum) is an academic journal associated with the Public Law Graduate Program from the Universidade do Estado do Rio de Janeiro (State University of Rio de Janeiro). The journal’s objective is to publish advanced scientific papers, reviews and unpublished translations of national and foreign researchers inserted in the following thematic axes: Constitutional Theory, Human Rights Law, Constitutional Philosophy, Administrative Law and Economic Law. The website in english can be accessed by selecting the language in the menu on the right.